(Honolulu)-The Nominating Committee for the Commission on Water Resource Management (CWRM) is accepting applications for one vacant Commissioner’s position. The new term for the Commissioner will begin July 1, 2019 and run for four (4) years, expiring on June 30, 2023. 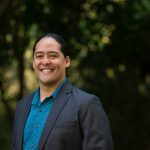 (Honolulu) – DLNR Chair Suzanne Case, in consultation with Governor David Ige, has appointed Kaleo Manuel as the next deputy of the state Commission on Water Resources Management (CWRM). Case commented, “Kaleo has a wealth of experience in the complicated field of water resource management and brings both western educational training and traditional Hawaiian values to the position. HONOLULU -- Imagine waking up one day and finding there was no water. No water to drink or to cook with. No water to brush your teeth, to shower, flush the toilet, or do laundry with. No water to fight fires or to irrigate our food crops. Hospitals would close, schools would close, businesses would shut down. 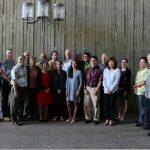 (Honolulu) - The Hawai’i Commission on Water Resource Management issued its East Maui interim instream flow standards decision today. LIHU‘E, KAUA‘I -- The staff of the Commission on Water Resource Management (Commission) will be holding a public fact-gathering meeting to receive testimony and any additional information to be compiled as part of an Instream Flow Standard Assessment Report. This report will serve as the primary reference of best available information for subsequent amendments to the interim instream flow standards for the surface water hydrologic unit of Wailua (2040) - Waikoko and North Fork Wailua streams, on Kaua‘i. 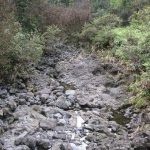 (HONOLULU) - The Commission on Water Resource Management (Commission), in a public meeting Tuesday, fined the Olowalu Water Company, Inc. (OWC) of Maui the maximum allowable fine of $1,500 (includes $500 administrative fine) for construction of a concrete dam/spillway on the Olowalu Stream without a permit. 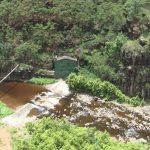 (Wailuku, Maui) – Instream values for four West Maui streams are now protected following a decision yesterday by the Hawai‘i Commission on Water Resource Management (CWRM). The decision was made at the conclusion of a half-day-long hearing in which more than three dozen people testified. The mediated settlement, approved by the Hawai‘i State Water Commission in April, to immediately restore continuous flows in West Kaua‘i’s Waimea River, is the subject of a video mini-documentary produced by the DLNR. The Hawai‘i State Water Commission approved a mediated settlement today that will immediately restore continuous flows in the Waimea River, as well as provide the opportunity for a renewable energy project, water for Hawaiian homesteading, and farming.